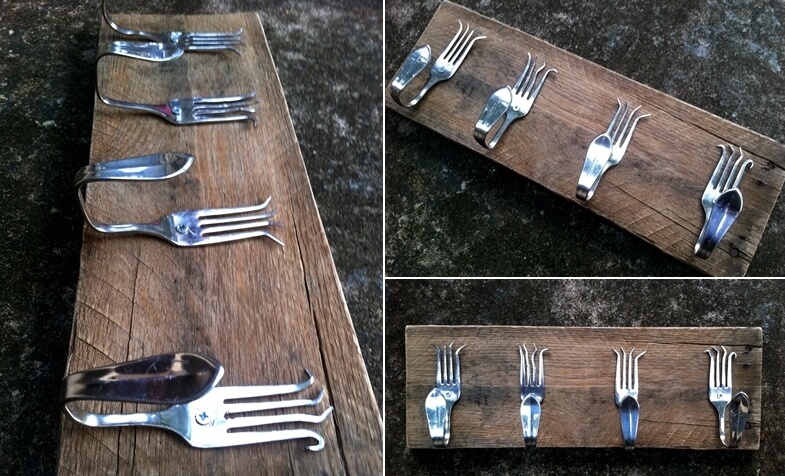 What To Do With Old Forks? Morning Creativity Blog has shared a way to bend and use a fork in the form of a picture holder. 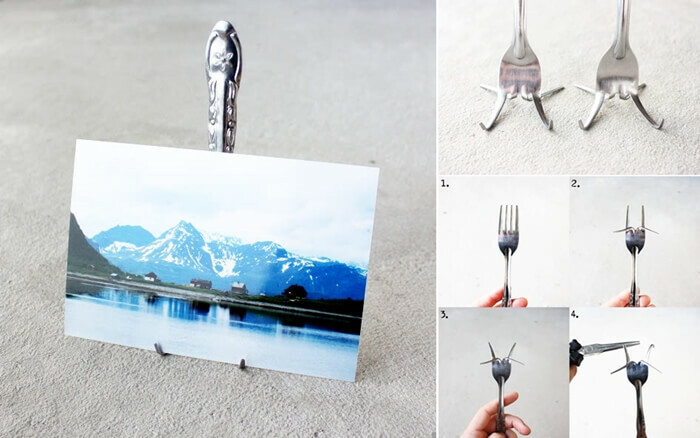 You can make use of more than one forks and create many picture holders to display your pictures in different parts of your home. Scott Bedford of Make Fun Creating has created something truly unique from a fork. 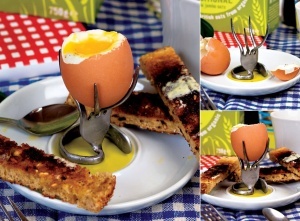 He has bent and reshaped the fork in the form of an egg cup. 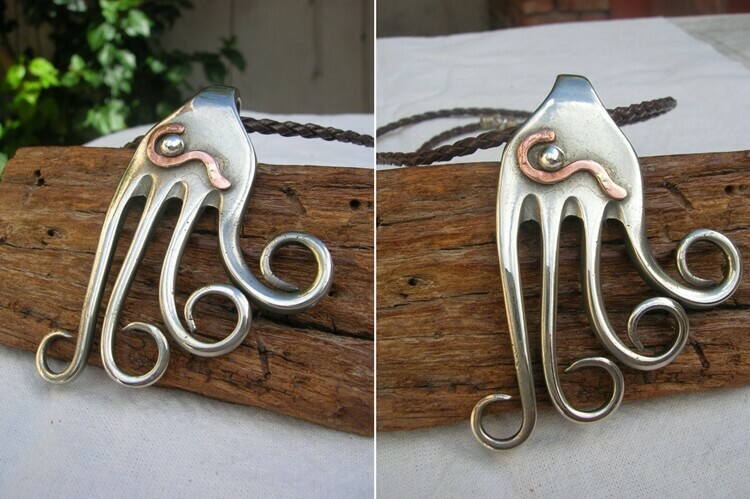 Etsy Shop Mama Joia has made this lovely pendant from a recycled fork. Truly very nice! UPS Cutlery has shared a candle holder made from forks. 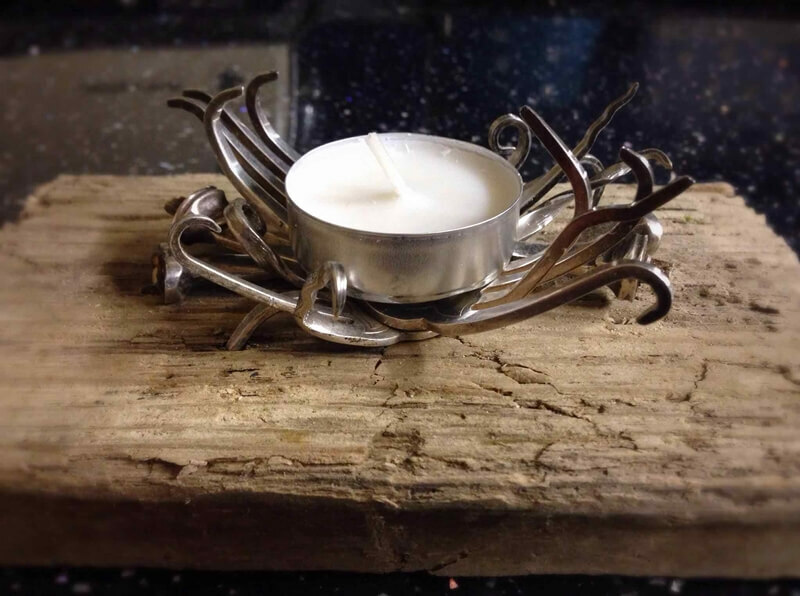 The candle holder looks as if it is an art sculpture. 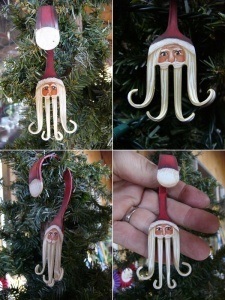 Etsy Shop Santa Heaven has made this stunning Santa Christmas ornament from an old fork. The fun thing about this is that they have made a good use of the fork prongs and have twisted them to mimic a Santa’s beard. 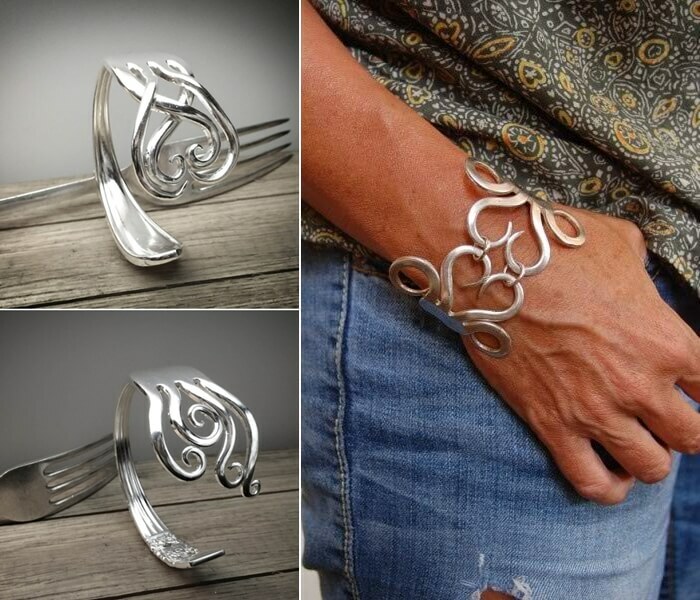 The top part of the fork mimics the hat of the Santa. All in all, it is a wonderful idea you can try this Christmas. Erica at Spoonful of Imagination Blog combined old forks with a piece of reclaimed wood and created this wonderful hook rack that can be used at multiple places such as entryway, kitchen or even laundry room. If you have basic knowledge of bending forks, you can easily create one for yourself too.